Hi, everyone. 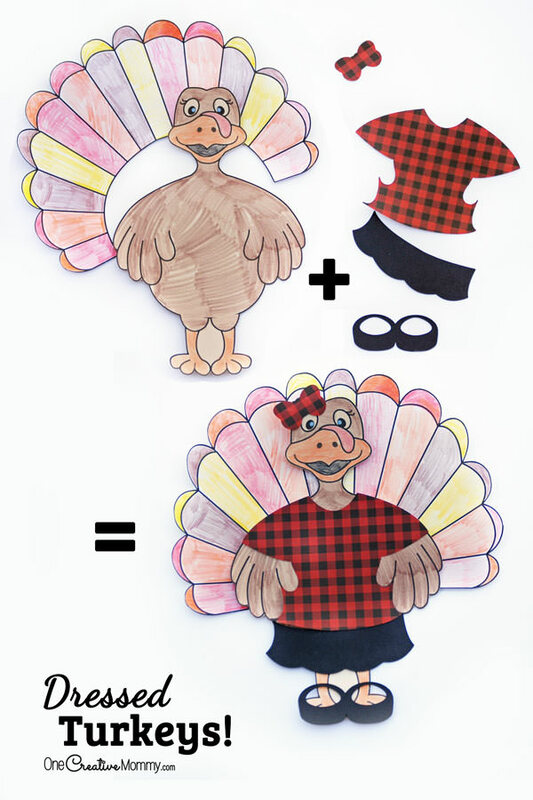 I have a quick post today with two simple watercolor printables for Thanksgiving. This is an easy addition to your Fall decor. Just print, frame, and you’re done! Hello, simple! When life gets crazy (as it inevitably does around the holidays), it’s definitely time to do less. That’s what I love about fall decorating. I let Mother Nature help with mine. Who needs fancy design pieces when you can bring in fall leaves and pine cones? Plus–they’re free! Once the Halloween decor gets returned to the closet (and sometimes before), I bring outside in to add a touch of fall to my home. To add to that simple and clean look, I created two Thanksgiving printables for you. 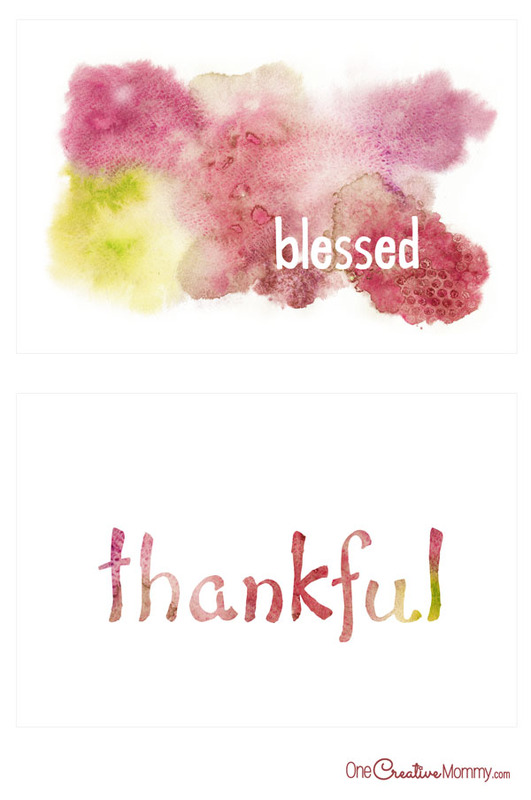 “Thankful” and “Blessed.” I think those two words about sum up how I feel about life right now. To print your own, click on the download link below to head to my download page. These printables come in 4 x 6 and 8 x 10 size. If you’re wondering about that cute little pinecone turkey hiding behind the frame, you’ll find that fun kids craft here. And how about my favorite jute-wrapped vase? I don’t have a tutorial about it on my blog, but I made it using the same method I used on my rustic witch hat. Check out the tutorial to turn any of your vases from boring to beautiful! These are great I have a little frame in my kitchen that I like to swap out for each holiday! Thanks, Jenn. I have a frame like that, too. I love to switch things up for the holidays. I don’t really decorate much inside, I do outside. These printables would be great for a bathroom though. I’m the opposite. I don’t do much outside. I need to do more decorating outside, but I never seem to get to it. Those water colors are beautiful! I never thought of them as something that could be part of a printable! Thanks, Mitch. You can turn pretty much anything into a printable these days. The wonders of technology! Very beautiful! I would love one for my office area!! Thanks, Jacqui. They would be perfect in an office. 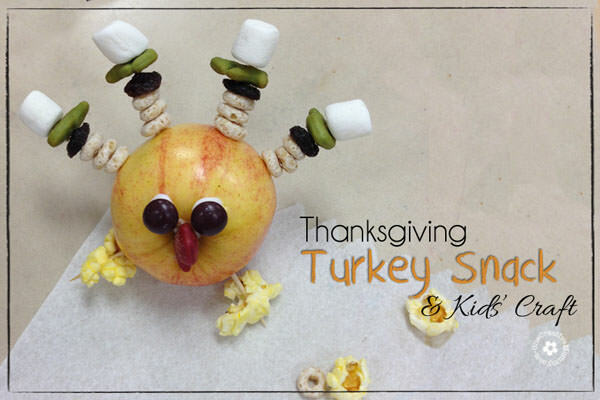 Love that you can use these all year or specifically at Thanksgiving time! You’re right, Robin. They would work all year. I didn’t think of that! What a good idea to make the printables. This is an easy way to celebrate the holiday wihtout breaking the bank for decorations! Thanks, Rosey. I’m all about not breaking the bank! I hate spending money. 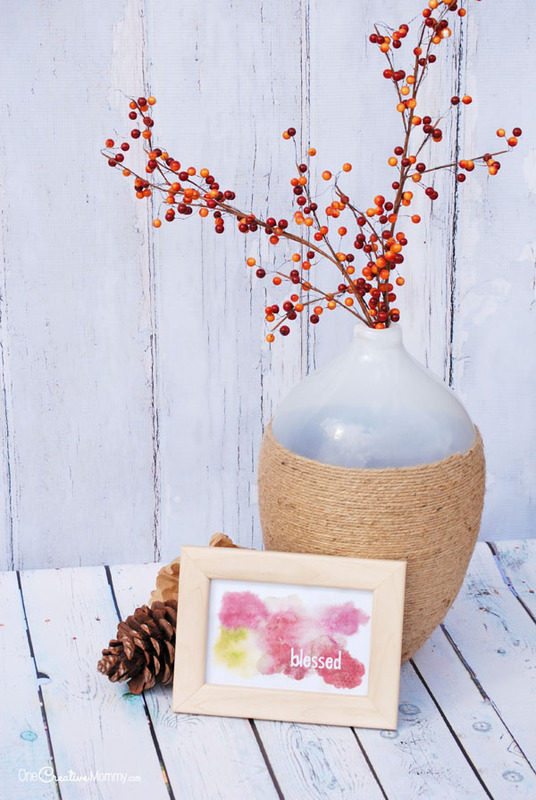 What beautiful printables – such a lovely way to celebrate the season! They are also a great way to remind us of how blessed we really are as well as to help keep us centered during the holiday rush. Thanks, April. It’s so easy to get caught up in the holiday rush. It’s nice to sit back and think about blessings. Blessed is one of my favorite sayings and hashtags too! so this is perfect-thank you=wishing you and your family a blessed Thanksgiving! Thanks, Kathleen. Hope you and your family have a blessed Thanksgiving, too. Goodness, I just love these sweet seasonal reminders. They make a great way to add some fall decor around the house too, especially if, like me, you are not very crafty. wonderful decorative idea,Thank’s for sharing. What a good idea to make the printables. I would love one for my office area! !